Welcome to paradise! 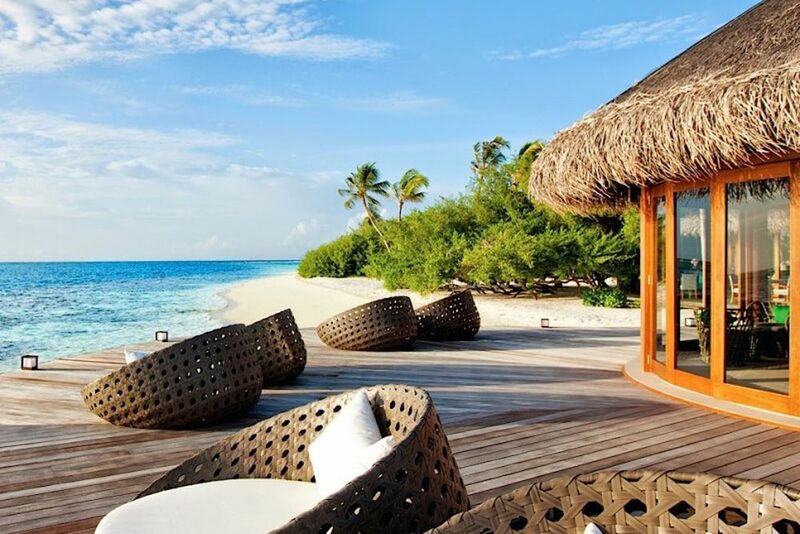 Hideaway Beach Resort & Spa will be the holiday you've always dreamt of. There is something for everyone at Hideaway Beach Resort & Spa! 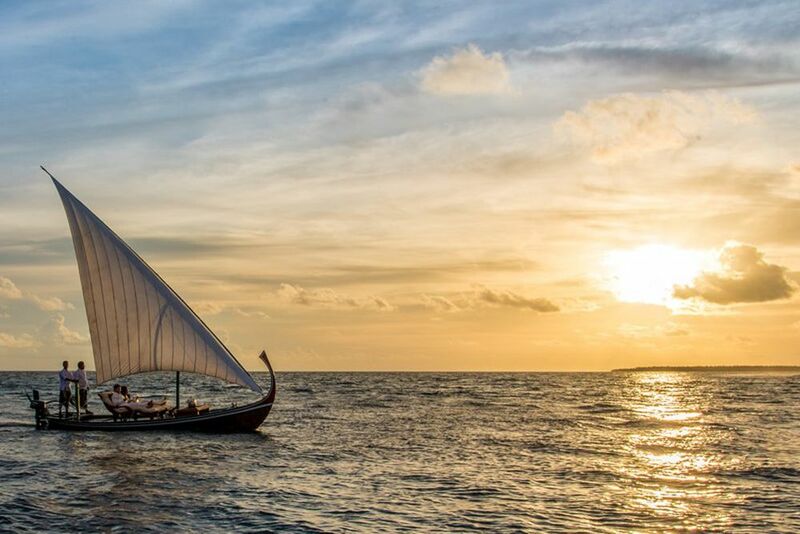 What you will find on the crescent-shaped island of Dhonakulhi? 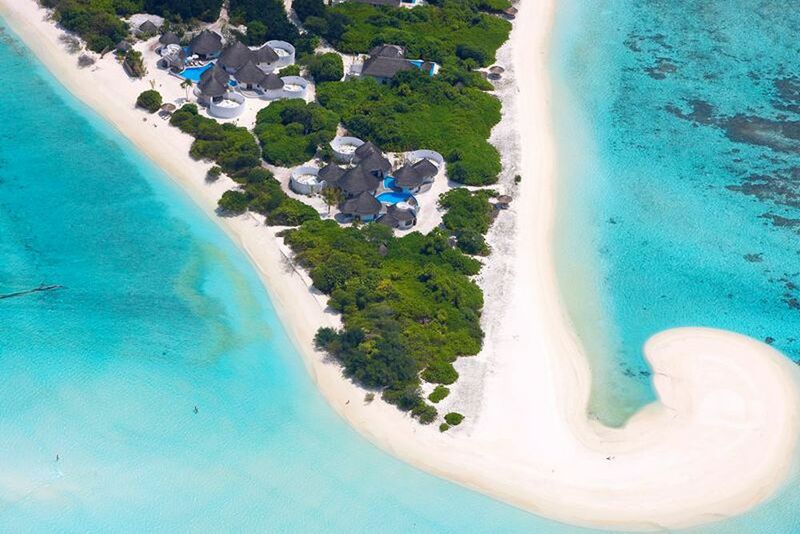 Lush vegetation, a snow-white beach and an impressive coral reef! Water sport enthusiasts will be thrilled: The spectacular house reef with a colorful underwater world is located only 10 meters from the beach. 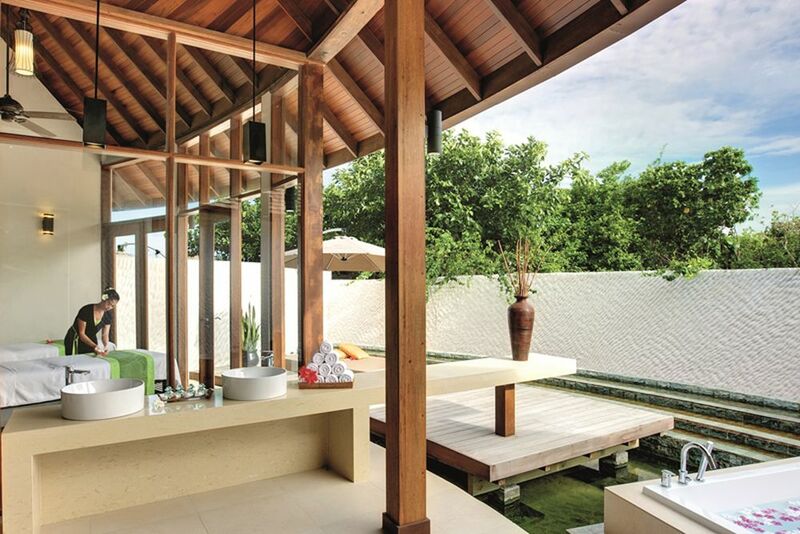 Amidst lush vegetation, the beach villas promise plenty of privacy. 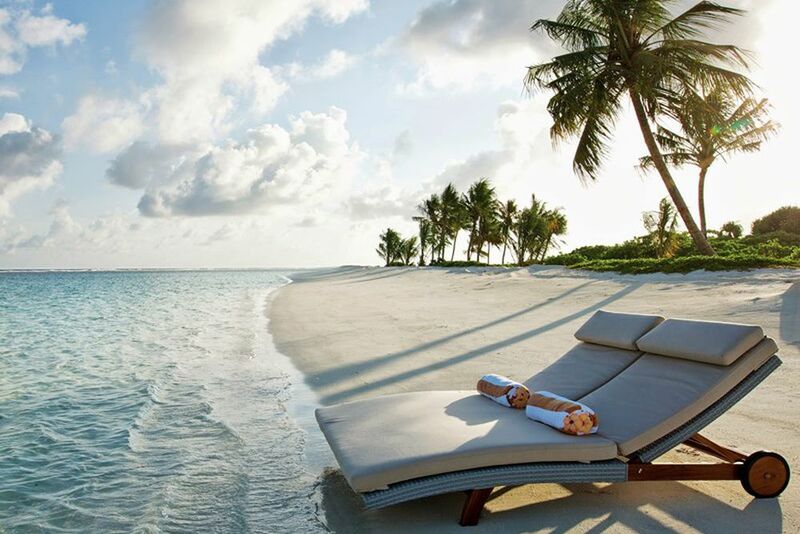 A paradise where you can truly rediscover tranquility. Do you want to stay in a villa on the beach or on stilts over the sea? At Hideaway Beach Resort & Spa, all your dreams come true. 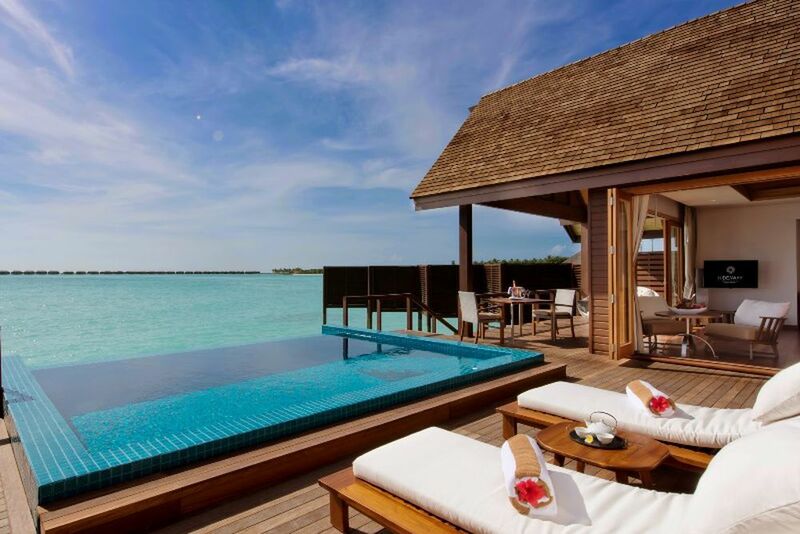 For pure luxury, enjoy your villa's private pool. 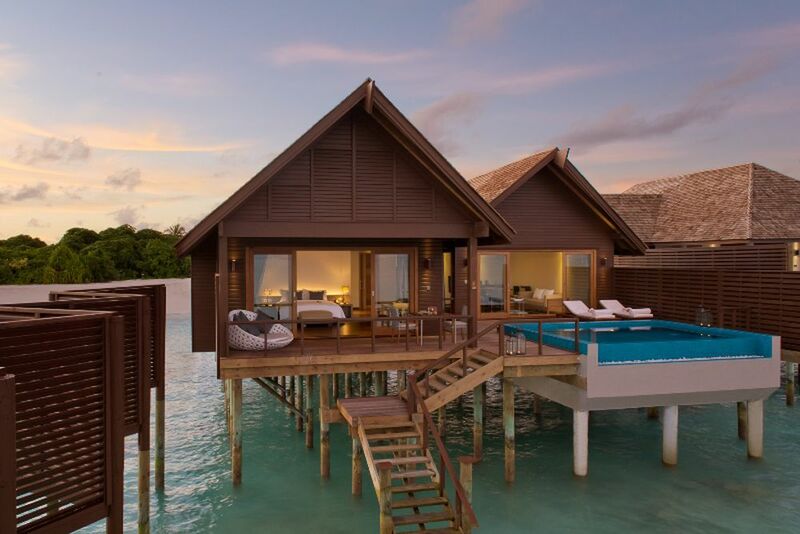 Directly above the sea is the Deluxe Water Villa with a cozy sundeck. Here you can comfortably watch the beautiful sunset. 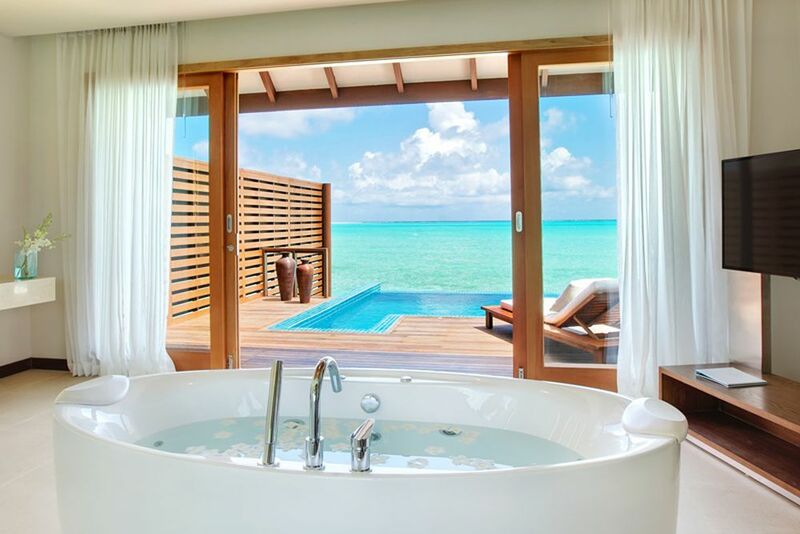 Let your gaze wander over the glistening Indian Ocean from your freestanding bathtub. Escape with your loved one to the romantic Hideaway Beach Resort and Spa. 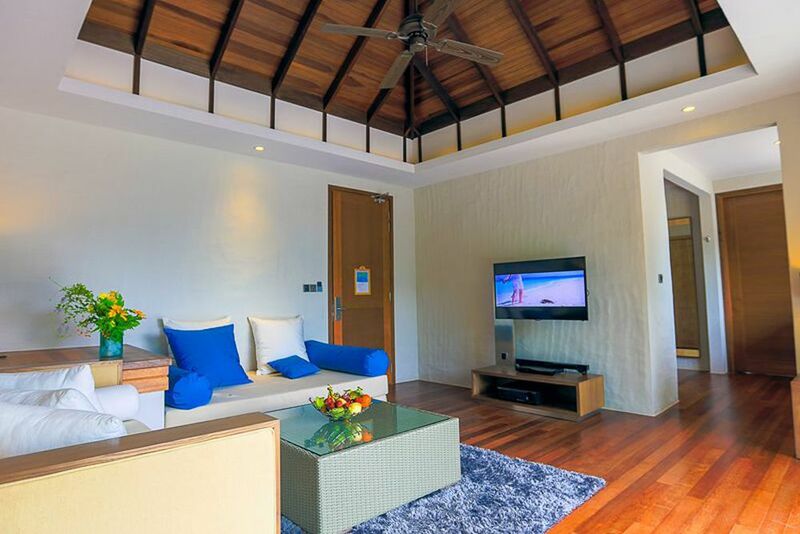 All villas are equipped with the latest multimedia facilities, such as a flat screen TV and a DVD/Blu-ray player. Indulge in the luxury of your private pool when staying in the Beach Residence. 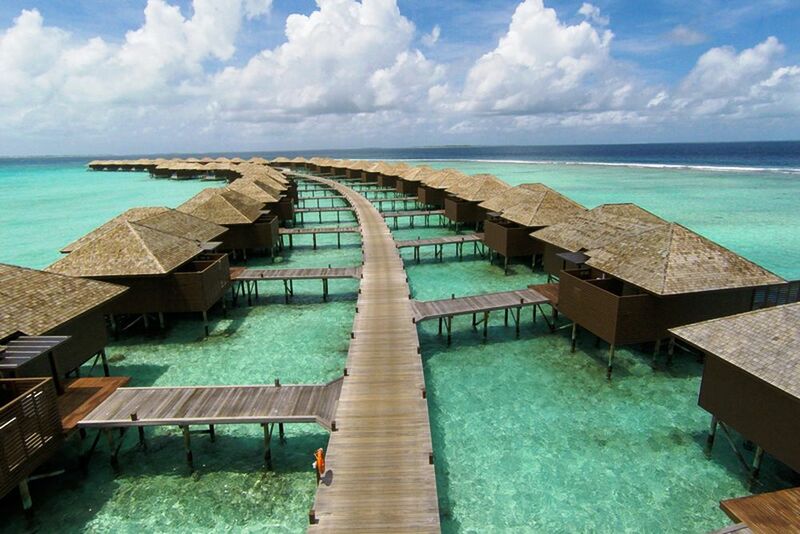 Built on wooden posts, the luxurious water villas offer everything your heart desires. After sunbathing all day, take a refreshing dip in your private pool. 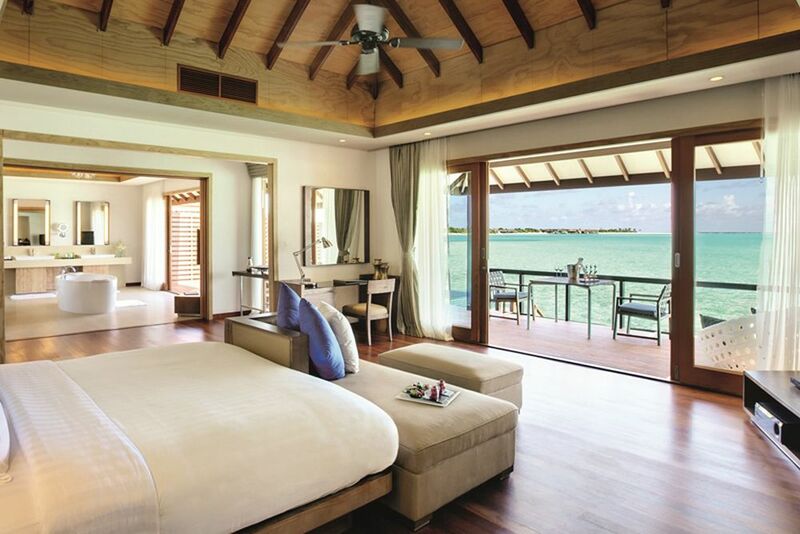 Waking up to this gorgeous view allows you to start your day relaxed. Let yourself be pampered by the butler that is ready to get you anything you need. 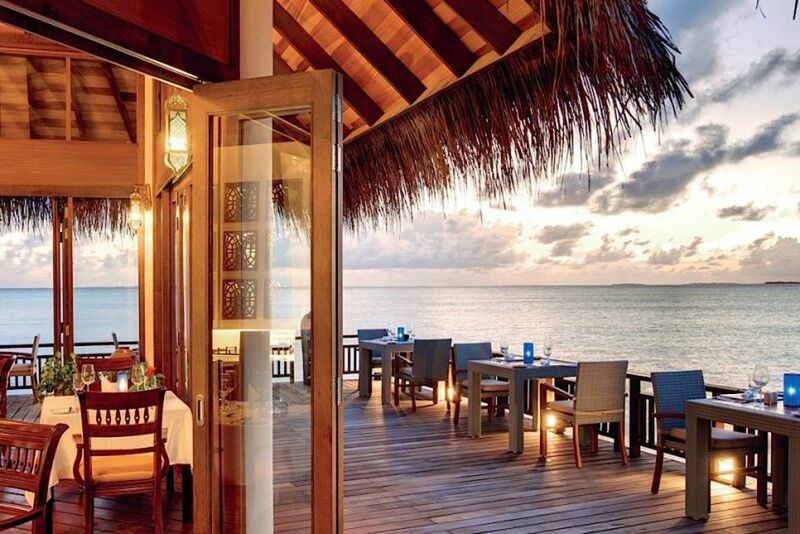 The main restaurant, Matheefaru, serves a daily, changing buffet and live world-class cooking. Visit the wooden restaurant, Samsara, and enjoy light Indian delicacies. You will never forget this phenomenal view. 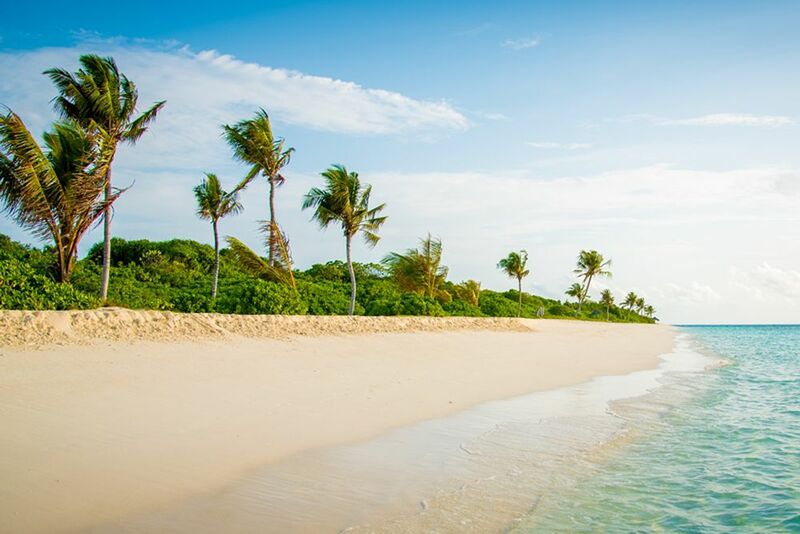 The white sandy beach invites you and your loved one to romantic walks. 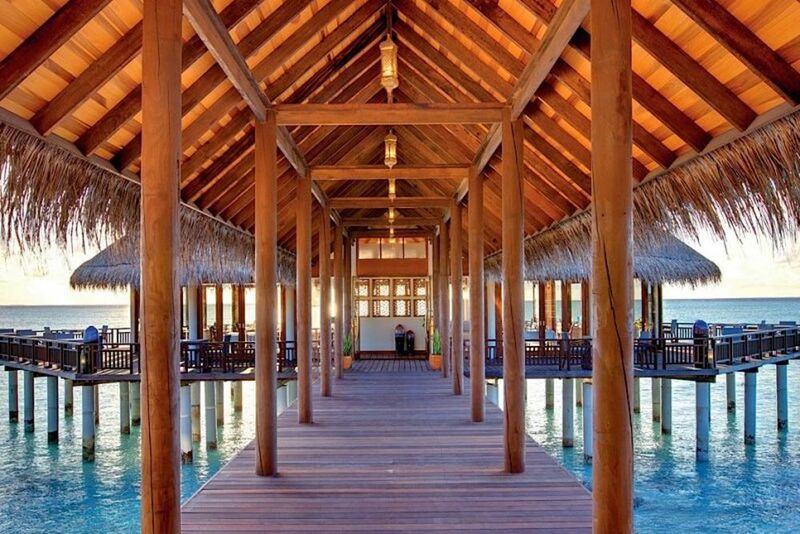 Are you dreaming of a wedding in the Maldives? We are happy to organize the best day of your life. The on-site spa offers soothing massages as well as manicures and pedicures. Or how about a steam bath? Once on Dhonakulhi, you must also explore the surrounding countryside. Do you fancy a boat trip or a fishing trip? The luxurious paradise, Hideaway Beach Resort & Spa, awaits your arrival! 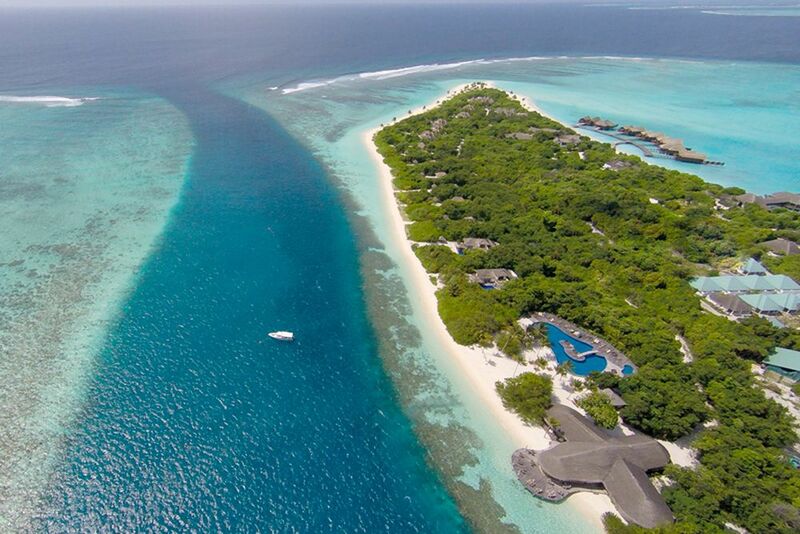 Step outside your luxurious and secluded villa and discover the true magic of the Maldives. Spoil yourself with an array of recreational activities or pure relaxation on an island getaway you will never forget! About 300 kilometers north of Malé are the islands of Haa Alifu Atoll. 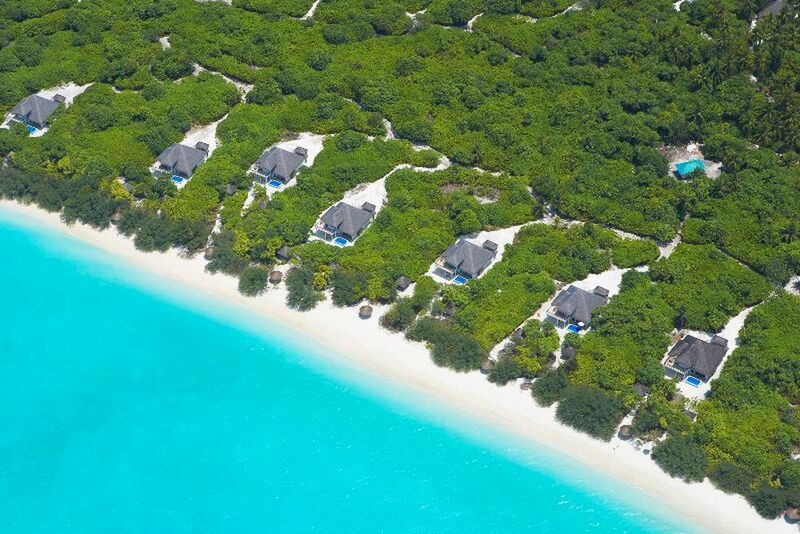 Nestled on the crescent-shaped island, Dhonakulhi, is the luxurious 1.4-kilometer-long Hideaway Beach Resort & Spa. 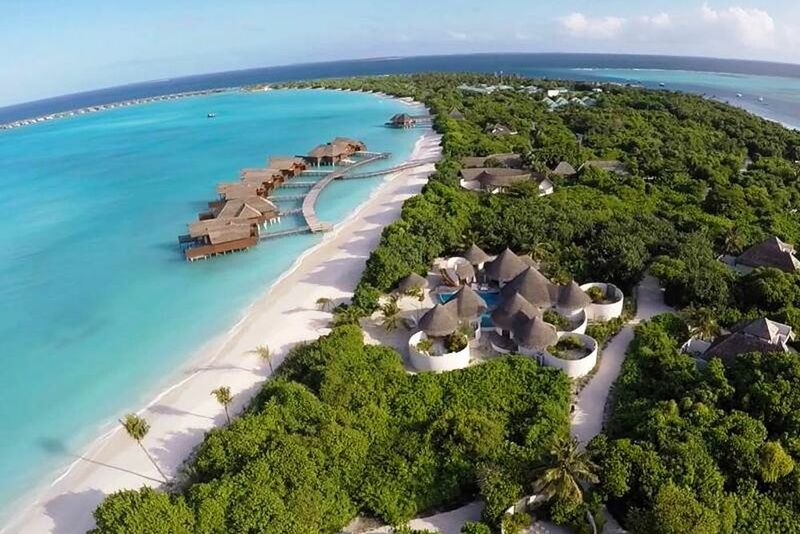 Surrounded by lush vegetation and sparkling, snow-white dream beaches, the recently opened luxury resort is a true retreat for honeymooners and families. Snorkeling and diving enthusiasts’ dreams come true in the resort’s house reef which is only 10 to 30 meters away. Discover manta rays, dolphins, turtles and whale sharks that visit the island regularly! From Malé, you can fly to the resort in about 75 minutes by seaplane. Alternatively, you can fly from Malé to Hanimaadhoo, from where you will be taken to your resort by speedboat. The journey by boat takes about 15 minutes. Hideaway Beach Resort and Spa takes care of the guests’ every need with world-class facilities and their private villa that are matched by the island itself! Bask beneath the tropical sun by the stunning pools with endless ocean views, indulge in the blissful spa and beauty treatments offered, capture your dreamy holiday moments with a professional photoshoot, or partake in retail therapy at the different boutiques. The resort invites guests to spoil themselves with the exquisite cuisine offered in the house restaurants. The main restaurant, Matheefaru, is located directly on the sea and offers a daily changing buffet as well as first-class live cooking. In the Meeru Bar & Grill, enjoy exotic cocktails and international dishes, such as pizza and crispy grilled meat from the lava rock. Enjoy impeccable views of the lagoon whilst enjoying a drink form the wide selection of whiskey and champagne menu. 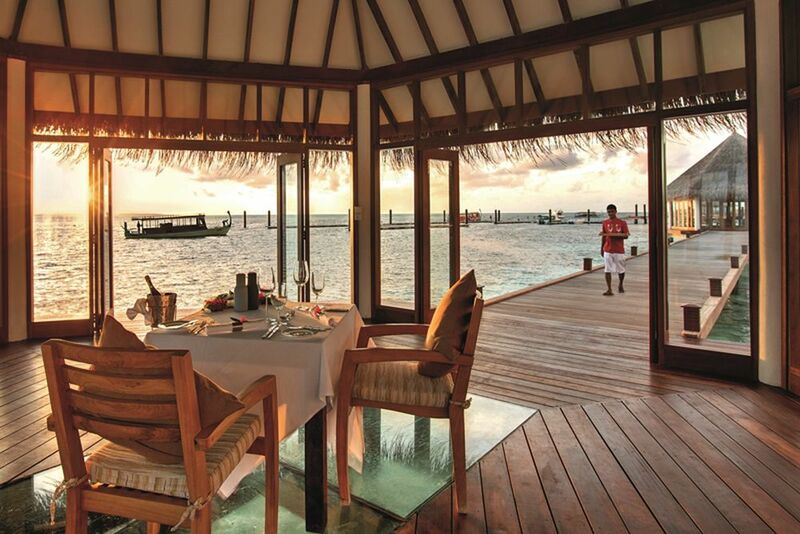 Samsara restaurant is built on stilts and located directly above the crystal blue sea. With stunning views of the endless sea, enjoy Indian and Japanese cuisine that will impress all palates. The restaurant also has a teppanyaki table to enjoy a live cooking experience. The Sunset Pool Café is open for breakfast, lunch and dinner, luring guests in with delicious European and Asian aromas that will make your mouth water. 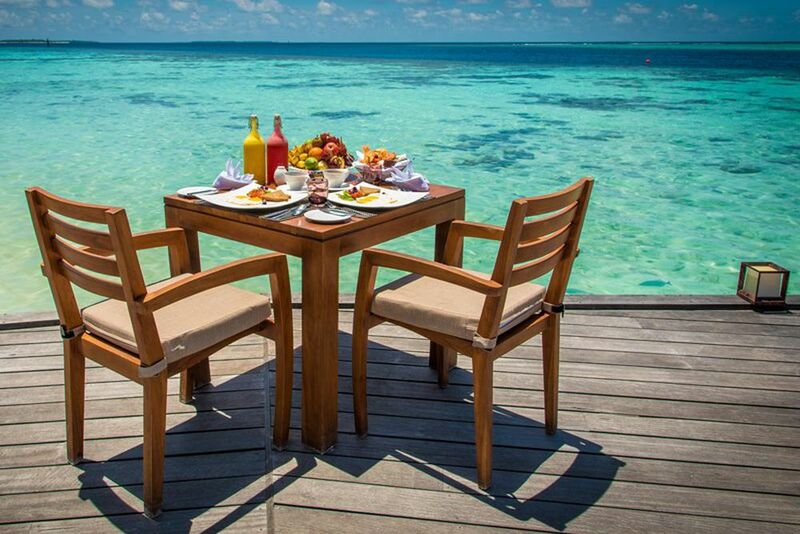 If you want to treat your loved one, surprise him or her with a romantic candlelit dinner, a picnic on a deserted Maldivian island, or in a private pavilion above the sea! The hotel also offers a Kids Pool, a Kids Club and the perfect boutique to capture your experience and share it with your loved ones at home, wrapped in fantastic gifts. Have a replenishing afternoon in one of the two infinity pools. Relax with a delicious cocktail and let your mind wander to magical worlds. 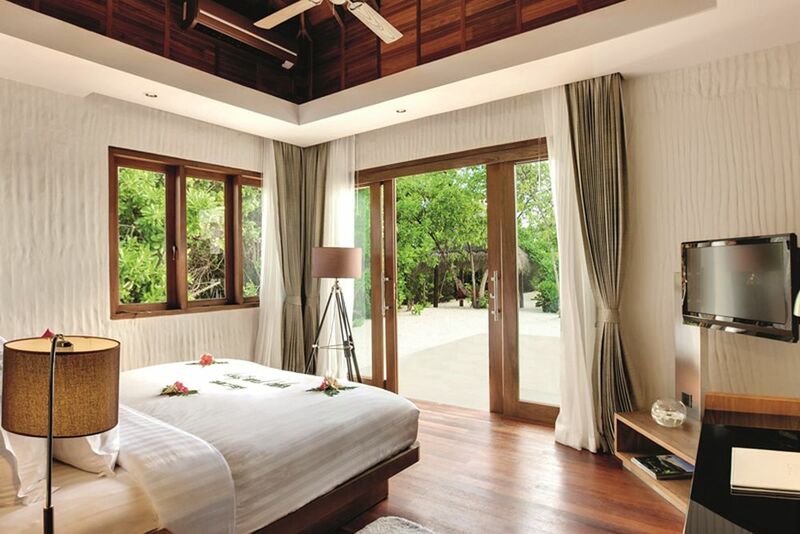 The 103 villas are decorated in modern style with Maldivian flair and are spread out on the beach or on stilts above the sea, guaranteeing absolute privacy for the perfect tropical getaway from reality! All suites have a luxurious bathroom with two sinks, a Jacuzzi, a walk-in shower, a hairdryer, bathrobes and slippers. Other amenities include a separate living and dining area, air conditioning, ceiling fan, satellite TV, DVD/Blu-Ray plater, safe, minibar, Nespresso machine and water boiler. Two bicycles are available free of charge, allowing you to explore the island at any time! Upon arrival, guests receive a fresh fruit basket, their own butler and free internet. Sunset Beach Villa (130 m²) — Lying scattered on the island, these villas have its own beach and private garden. For a maximum of 2 adults and 2 children or 3 adults. Deluxe Water Villa with Pool (190 m²) — Built on wooden stilts directly above the water, these villas include 30 m² infinity pool and a cozy sun deck with sun loungers, a table and chairs. For a maximum of 2 adults and 2 children or 3 adults. Beach Residence with Plunge Pool (215 m²) — With a private beach section, a kitchenette and separate dressing room, these spacious residences include a beautiful pool for the ultimate holiday vacation. For a maximum of 2 adults and 2 children or 3 adults. Deluxe Sunset Beach Villa with Pool (190 m²) — These luxury villas are located directly on the beach and have their own 65 m² pool and separate beach section. Enjoy absolute privacy complemented by unforgettable sunsets. For a maximum of 2 adults and 2 children or 3 adults. Ocean Villa with Pool (290 m²) — Lying on stilts directly over the lagoon, these villas are ideal for honeymooners seeking a private getaway. These special villas have a glass floor in the living area, a 30 m² infinity pool, and a furnished sun deck with a dining area where you can enjoy a fantastic view over the endless blue sea. For a maximum of 2 adults and 2 children or 3 adults. Family Villa with Pool (440 m²) — Located on its own private beach, these villas feature a 95 m² infinity pool, a master bedroom with a dressing room and a luxurious bathroom with a Jacuzzi. 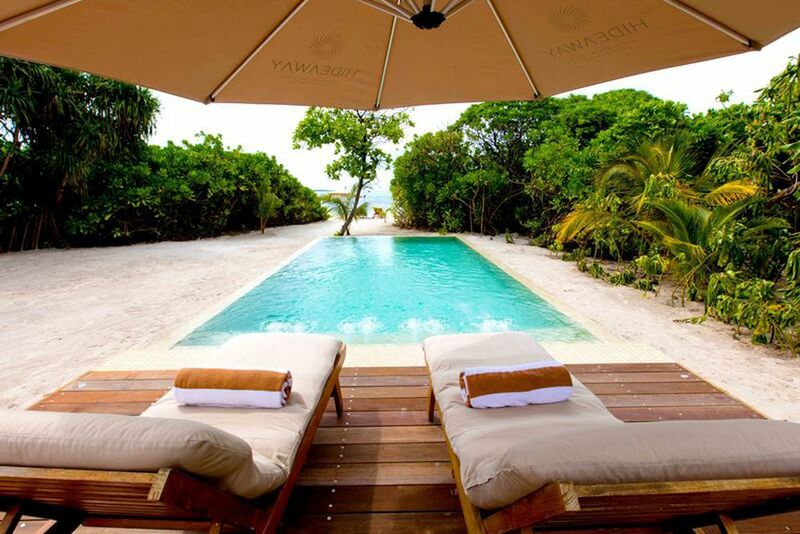 In the private garden, there is a Maldivian swing inviting you to relax. For a maximum of 2 adults and 2 children or 3 adults. Spellbinding surroundings and heavenly treatments invites guests to indulge and spoil themselves for an experience honoring the harmony of mind, body and soul. 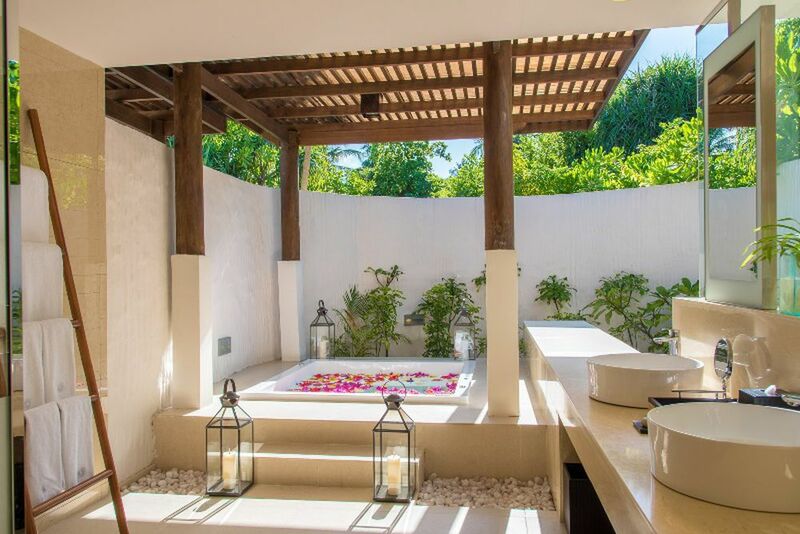 Hideaway Spa’s design is influenced by the breathtaking natural beauty of the Maldives throughout its internal waterways and waterfalls, open areas and sandy floors. In the 12 treatment rooms, guests can enjoy a massage from natural Balinese products, as well as a manicure or pedicure. Relax with the soothing treatments and leave the everyday stress behind. Other facilities include a steam bath and sauna. Individual and group yoga classes are offered at the resort for absolute relaxation! Water sports enthusiasts are spoiled in the best ways at the resort. The house reef is only 10 meters away, offering a beautiful underwater world to explore. At the Meridis Dive Center, beginners can arrange a diving adventure with experienced divers. Other water sports include windsurfing, stand-up paddling, water skiing, wakeboarding, jet skiing and kayaking. Experience a fantastic fishing adventure with beautiful sunrises and sunsets and enjoy your freshly caught fish prepared according to your wish. There is also a professionally equipped gym and a tennis court for sport enthusiasts to remain active even whilst on vacation. A copy of the Marriage certificate, not older than 6 months, must be present upon check-in. Can be combined with other specials.